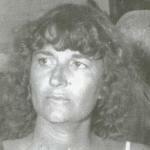 Labor Party activist Joy Ardill was the first woman elected as Vice-President of the Queensland Branch of the Australian Labor Party (ALP) in 1981. In this interview she discusses her time as a Socialist Left (SL) activist in the ALP through the 1970s and 1980s in the lead up to intervention in the party by the National Executive. Queensland Labor Party candidate Lindsay Jones joined the ALP in 1959 and stood, unsuccessfully, in 1974 for the seat of Lockyer, and in 1980 for Toowoomba North. He served as an Alderman on the Toowoomba City Council for six years in the late 1970s. From 1988 Jones worked in various positions in the ALP including as the State Organiser, and then as Assistant State Secretary, until 1996. Together with his wife Norma Jones they were key leaders of reform in Toowoomba leading to the 1980 federal intervention in the Queensland branch of the ALP. Trade Unionist Wallace Trohear was a member of the Building Workers Industrial Union (amalgamated into the Construction, Forestry, Mining and Energy Union in 1991) from 1973 to 2006. 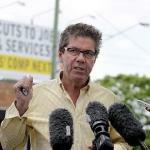 During that time he held a number of key positions in the union, including Queensland State Secretary from 1987-2006. He reflects on his many years experience in the building and construction industry and discusses the issues and challenges he faced during his career, from wage disputes to royal commissions. Trade Unionist Vince Dobinson was elected as a delegate of the Queensland branch of the Builders Labourers Federation in 1959, serving as an organiser 1962-72. He was elected as State Secretary from 1972-90. At federal level, he was the President of the Australian Builders Labourers Federation from 1974 until its deregistration in 1986. He reflects on his roles at both a state and federal level, discussing the changing nature of the construction industry and unionism within Queensland. 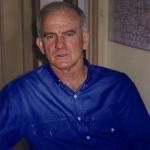 Unionist John Battams was the General Secretary of the Queensland Teachers Union for 21 years, from 1990-2011. 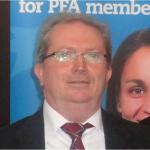 A member of the QTU since 1976, he has been part of and witnessed many changes within the QTU and the teaching sector including the transformation of the QTU from a conservative, letter-writing organisation to a dynamic union. John Battams has been President of the Queensland Council of Unions since 2009. 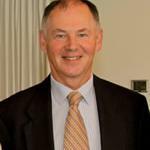 ALP member Greg Moran worked as an ALP State Organiser (1984-91) before taking up positions advising the Brisbane Lord Mayor, Jim Soorley (1991-92) and as Policy Advisor to Ministers during the Goss Government (1992-95). He is an ALP activist, very involved in party and factional activities. He discusses the 1980 federal intervention in the Queensland ALP. Ian Brusasco joined the Australian Labor Party (ALP) in about 1960, representing it as an Alderman on the Brisbane City Council for 14 years. He subsequently guided the ALP Inner Executive in turning around the fortunes of their radio station 4KQ, and management of the ALP's finances. In this interview he speaks about those years and about his continued influence after the 1980 intervention by the National Executive into the affairs on the Queensland Branch of the ALP. Errol Hodder joined the Australian Workers Union (AWU) in 1955 while working in the shearing industry in western Queensland. 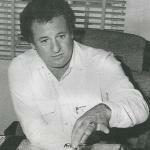 He worked his way up becoming Queensland Branch Secretary (1982-88) and Federal AWU Secretary (1988-91). He went on to serve on the Queensland and Australian Industrial Relations Commission (1991-2003) and played an active role in the ALP following the 1980 National Executive intervention into the Queensland Branch and leading to the return of the ALP to government in Queensland in 1989. Unionist Bob Gleeson is from Longreach, where he was a shearing contractor, grazier and staunch Australian Workers Union member. 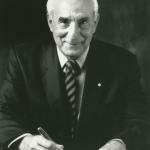 In 1962 he joined the Australian Labor Party (ALP) holding many positions within the party, standing twice for the seat of Kennedy and on the ALP's Queensland Senate ticket on two occasions. He was active through the years of reform and intervention in the party and shares his memories of those turbulent years. 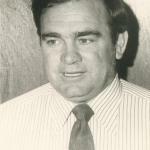 Keith De Lacy was Queensland Minister for Regional Development 1989-90 and Queensland Treasurer 1989-96 in the Goss Government, after having served in Opposition and working in a wide range of careers before entering politics. He reflects on his time as Queensland Treasurer and the reasons why people become involved in politics. He discusses the political landscapes he has come to understand, changes during and since his time as a politician, as well as his priorities since leaving state politics.